Goodyera is a genus of terrestrial orchids containing about 25 species worldwide, including in Northern Europe and Southeast Asia. 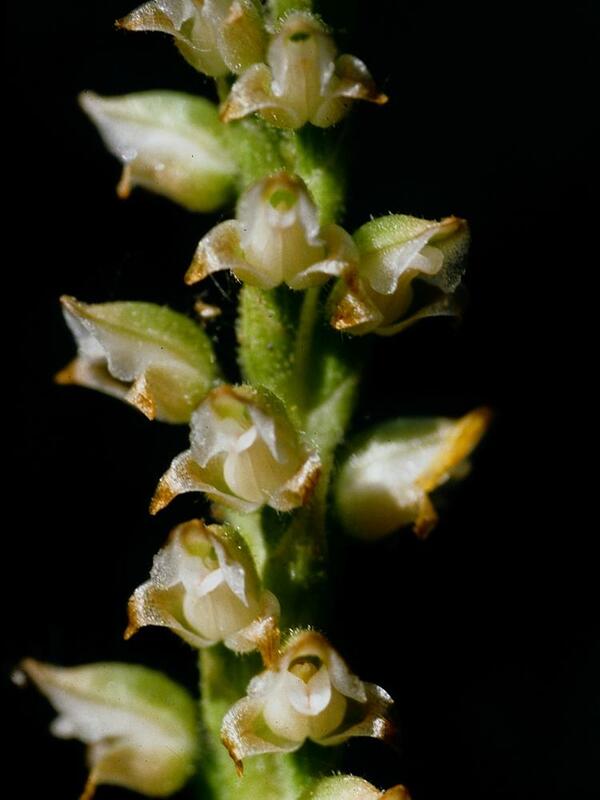 All of the species endemic to North America share the common name of "rattlesnake plantain". These species all produce multiple evergreen leaves which form a rosette at the base of the plant; the leaves are often marked with white or pale green. When flowering, they produce multiple small, resupinate flowers in a loose or densely packed spike; the flowers are usually white, sometimes tinged with green or brown, and often fragrant. 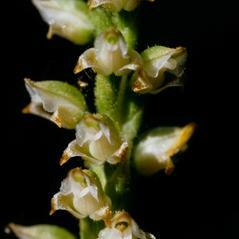 With the exception of the leaves, petals, and labellum, the entire plant is covered with slightly sticky hairs. Due to the similarities in the leaves of the four North American species and multiple hybrids, they can be difficult to distinguish when not flowering. 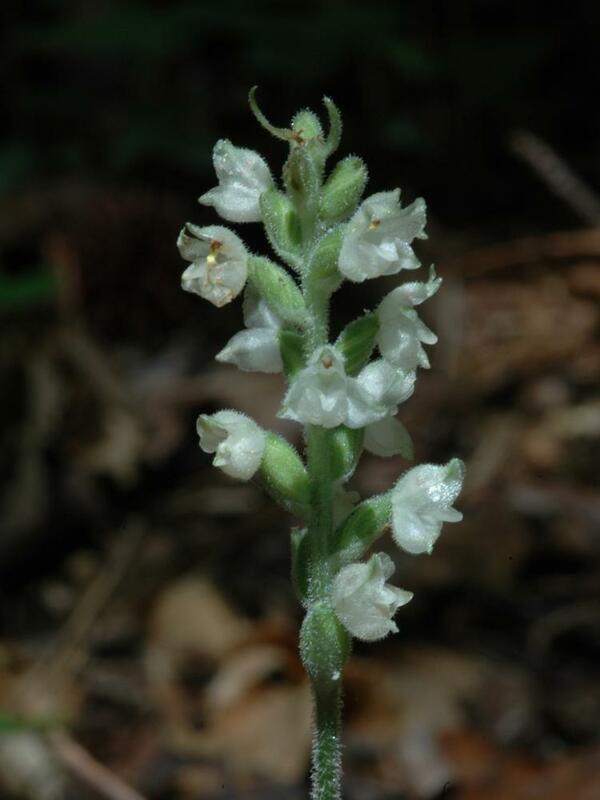 Goodyera can be distinguished from orchids in the Spiranthes genus by their leaves: Goodyera leaves are elliptic and have white or pale green marbling, while Spiranthes leaves are oblong or ovate and are solidly green. 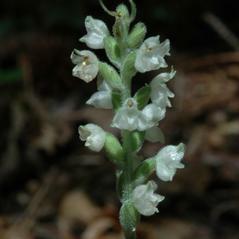 Some Goodyera species are threatened in parts of their range. Hybridization is common in some areas.